SIMPLE AND CHARMING! Its adherence to the body gives excellent support and compression, and it is indicated for any type of exercise (with more or less impact). SOLIMAR SPORTS BRA – SOLIMAR SPORTS BRA IS SIMPLE AND CHARMING! 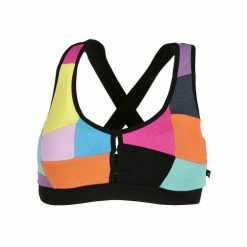 Solimar sports bra is fabricated in polyamide / elastane, providing extreme comfort and elasticity. Its adherence to the body gives excellent support and compression, and it is indicated for any type of exercise (with more or less impact). On the back, it has details in mesh and a more deep back neckline, providing great freedom of movement. The cups are removable and the ‘V’ shape neckline is not too deep, valuing the feminine silhouette. In order to get a perfect set, we suggest Marlin leggings and Oásis singlet (with the same color as the top). 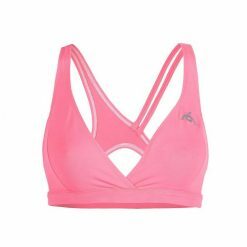 Ultra Confortable Tobar Sport Bra!